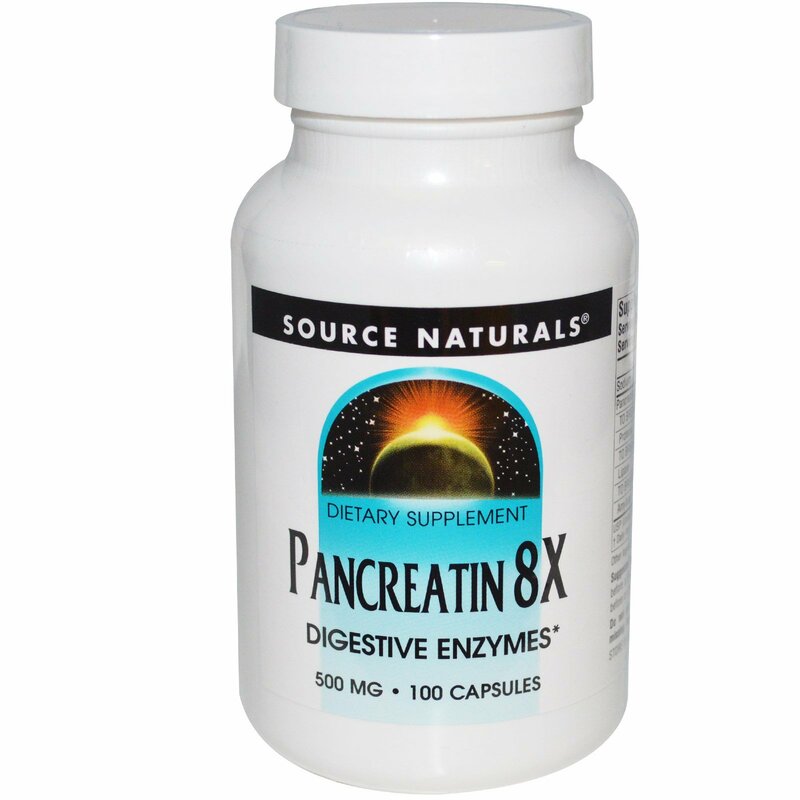 Pancreatin is a mixture of pancreaticenzymes that support digestion. Porcinepancreatin, which is similar to human, consists of proteases (to break down protein), amylases (to breakdown carbohydrates) and lipases (to break down fats). Together they aid the body's natural digestion process and may improve nutrient absorption. When taken between meals they act as systematic enzymes providing soothing comfort to the body. Pancreatin 8X contains eight times the enzyme activity as pancreatin USP. For Digestive Aid: 1 to 2 capsules immediately before a meal. 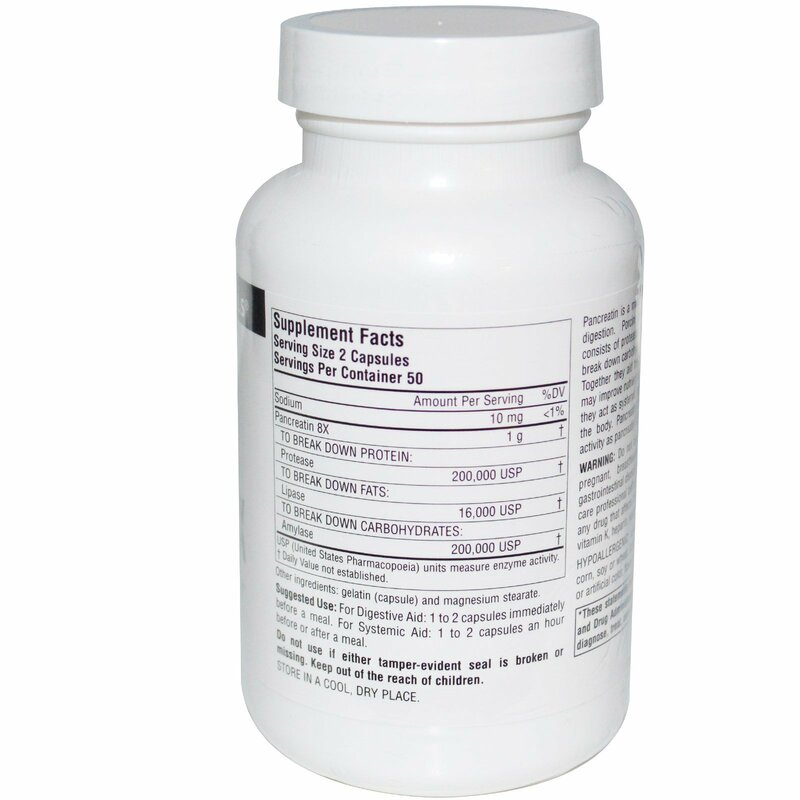 For Systemic Acid: 1 to 2 capsules immediately before a meal. Do not take if you are pregnant, may become pregnant, breastfeeding, or if you suffer from any gastrointestinal disorders such as ulcers. Consult your health care professional before taking this product if you are taking any drug that affects blood coagulation such a prescription vitamin K, heparin, warfarin (coumadin), or aspirin. USP (United States Pharmacopoeia) units measure enzyme activity.